Warrenton residents, like those in just about every other town, are often concerned that their busy lifestyle will be drastically affected by their podiatrist’s recommended course of treatment. 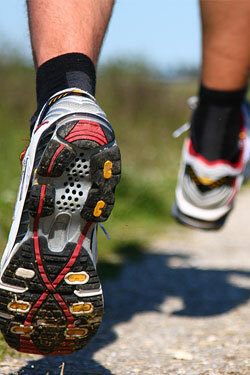 However, the Warrenton residents who entrust their podiatry care to Dr. Mukesh Bhakta, D.P.M. at Prince William Foot & Ankle Center, PC and South Riding Foot & Ankle Center know that it’s possible to treat their podiatric condition without having to sacrifice their daily routine. Dr. Bhakta strives to create treatment plans that are customized to each individual’s unique needs, even for those who are extremely active. Warrenton residents can rest assured that Dr. Bhakta will develop a treatment plan that allows them to continue exercising, playing with their children, and keeping up with their busy lifestyle. For personalized treatment of plantar fasciitis, ankle instability, heel spurs, plantar warts, and other conditions affecting the foot and ankle, Warrenton residents can click here to schedule an appointment with Dr. Bhakta.